We buy full and partial estates as well as individual antique pieces. Bring your antiques to our Mississauga shop any time, and we will have a look at them – no appointment necessary. Alternatively, you can email us pictures of what you want to sell, include your phone number (very important), and if we are interested we will give you a call. Unfortunately due to the large number of people who send us photos of their items, we are not able to respond to everyone. If we are interested in your items you will hear from us within two days. We do not take items on consignment, we only buy them outright. 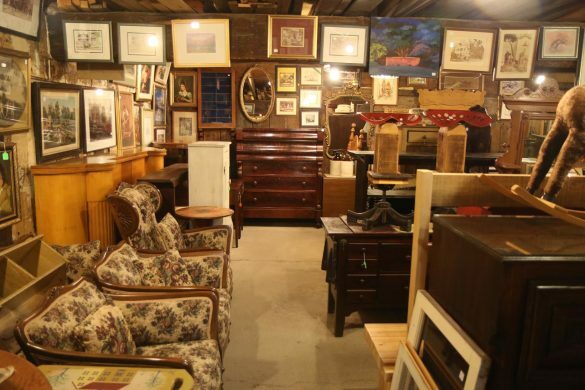 The Barn buys all sterling silver (except jewelry and coins), antique toys, antique signs, antique furniture of any style in good condition, chandeliers, lamps, wall sconces, and any good quality light fixtures. We also purchase odd antique pieces from wood boxes and copper boilers to ashtray stands to jewelry boxes, and so on – any unusual antique items, the stranger the better. We buy some china and stemware, larger sets are preferred. We prefer high-end items and will not buy used furniture or low-quality items. We don’t buy any coins or jewelry or stamps. We even buy out store closings, store fixtures, factories and end of lines. Large quantities or large items don’t scare us, we like a challenge. Figuring out what to do with items when downsizing or executing a will can be an overwhelming task. Choose a reputable buyer and get real value for your quality pieces. The Barn buys full and partial estates. Discover the value that’s been sitting in your home – call us today.